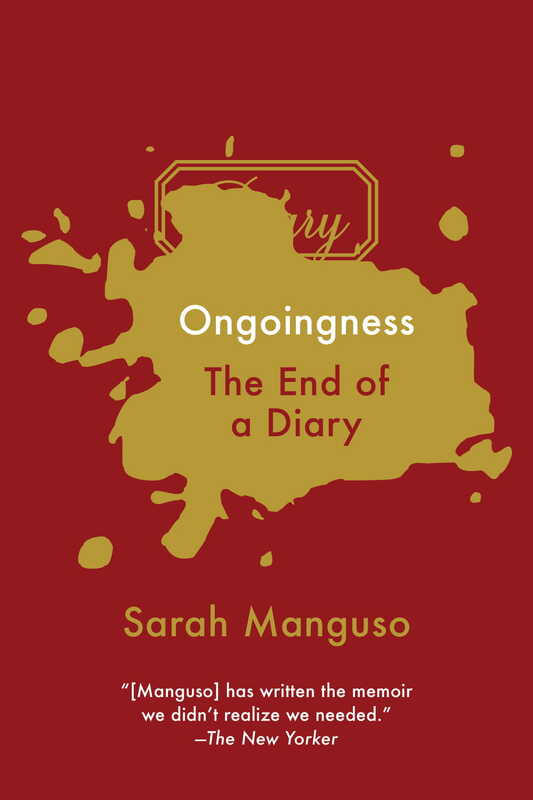 In her latest book that continues to define the contours of the contemporary essay, Sarah Manguso confronts a meticulous diary that she has kept for twenty­-five years. “I wanted to end each day with a record of everything that had ever happened,” she explains. But this simple statement belies a terror that she might forget something, that she might miss something important. Maintaining that diary, now 800,000 words, had become, until recently, a kind of spiritual practice. Then Manguso became pregnant and had a child, and these two Copernican events generated an amnesia that put her into a different relationship with the need to document herself amid ongoing time. Ongoingness is a spare, meditative work that stands in stark contrast to the volubility of the diary—it is a haunting account of mortality and impermanence, of how we struggle to find clarity in the chaos of time that rushes around and over and through us.